Let me introduce you to the charming McBride plan, located in the beautiful community of Reagan Point! 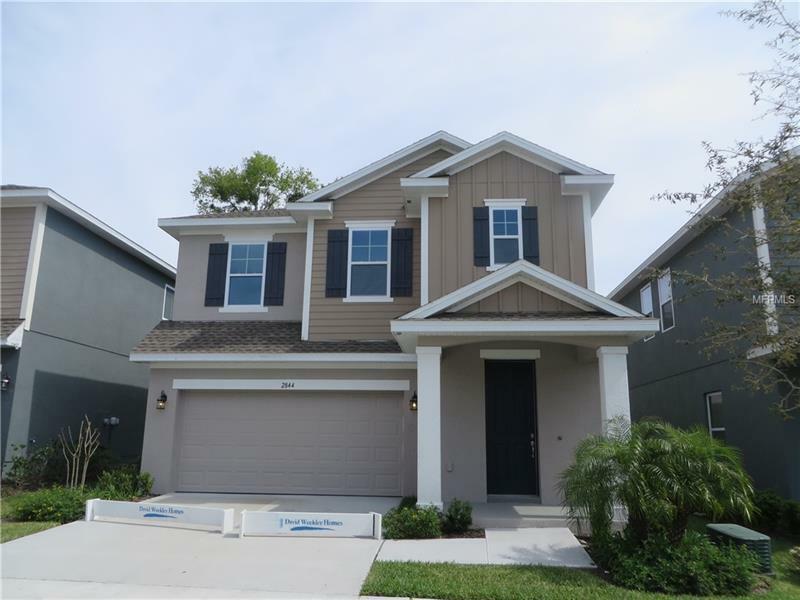 This spacious 2 story plan offers easy flow with your open kitchen to family room layout 3 bedroom / 2.5 bath home has flowing open floor plan downstairs with loft and bedrooms upstairs.The entire home is appointed with beautiful, elegant details such as maple espresso cabinetry, quartz counter tops and so much more. The Kitchen is a chefâs dream with large island, stainless steel appliances, stone counter top and backsplash, solid 42 inch wood cabinets and ceramic tile flooring with sliders leading out to the lanai step outside onto your covered lanai to enjoy a cold drink on a hot day. Your master bath offers a super shower giving you ample space for a make-up vanity or decorative piece of furniture. This home offers a superb layout for large gatherings plus a covered porch perfect for game day BBQâs.